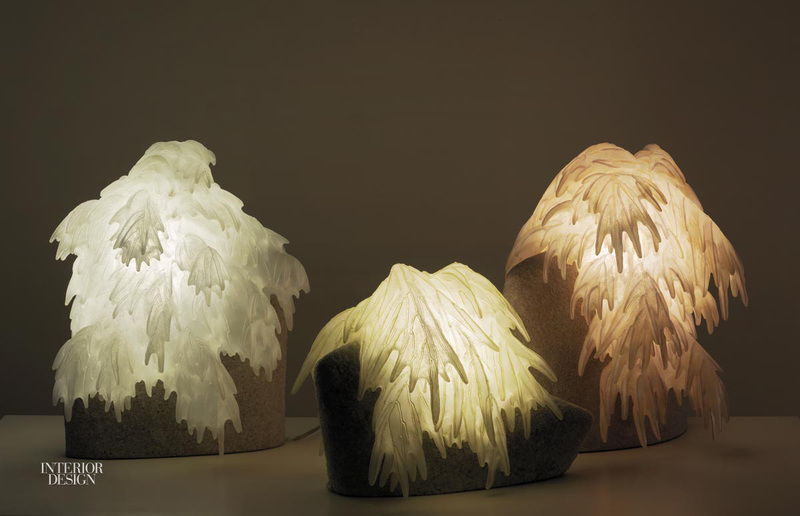 Five X Pivot LED light fixture in 3form Varia ecoresin by LightArt. 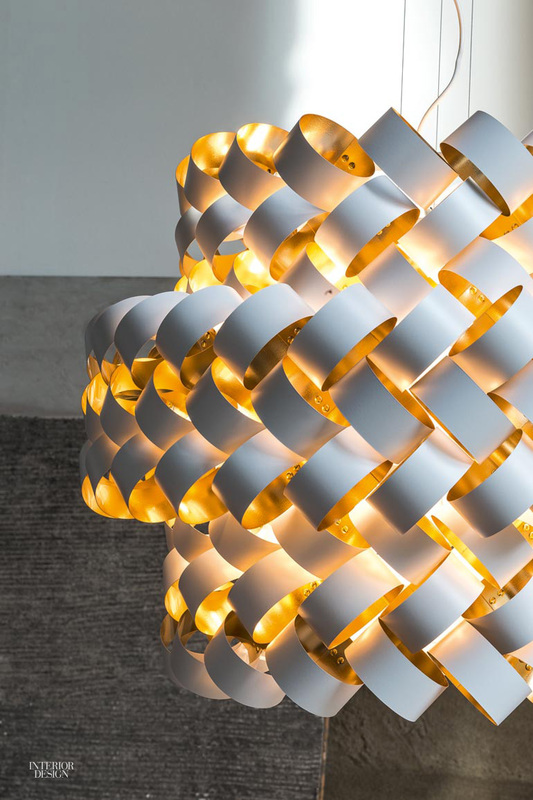 Langhorne 2 pendant with woven nylon diffuser over flexible LED core by Luke Lamp Co.
Alice Taranto’s Fresh Faces for Inside Spaces neon wall light by Lit through Kinder Modern. 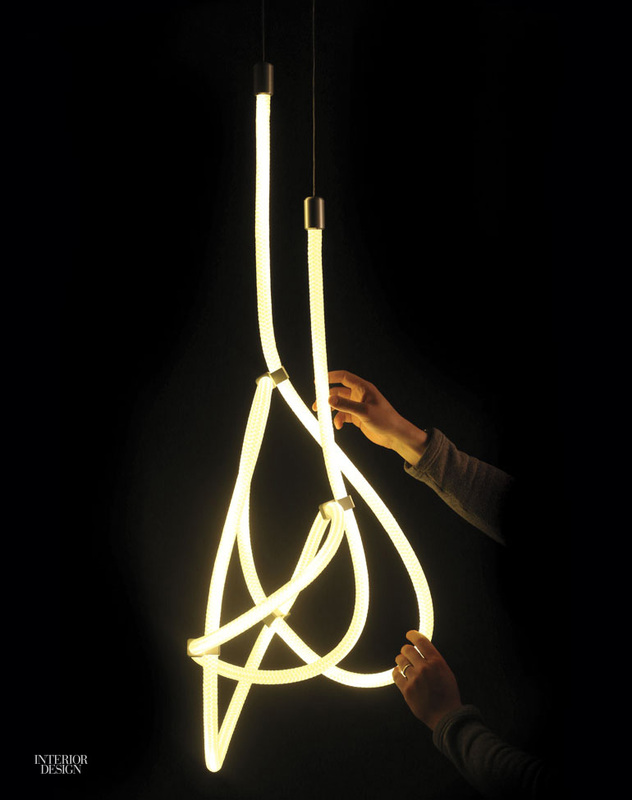 Brian Rasmussen’s Ring suspension lamp in steel with matte-white epoxy finish by Pallucco through Lepere. 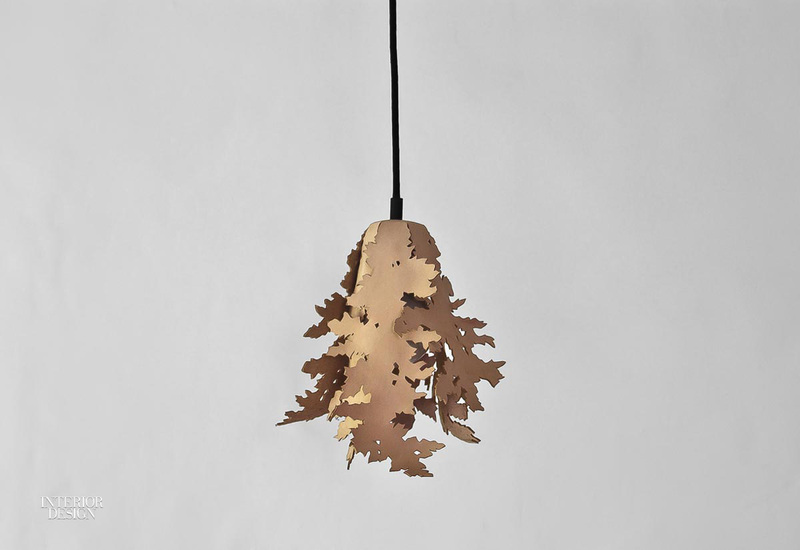 Forest lamp in vegetable-tanned leather and copper by Wren & Cooper. 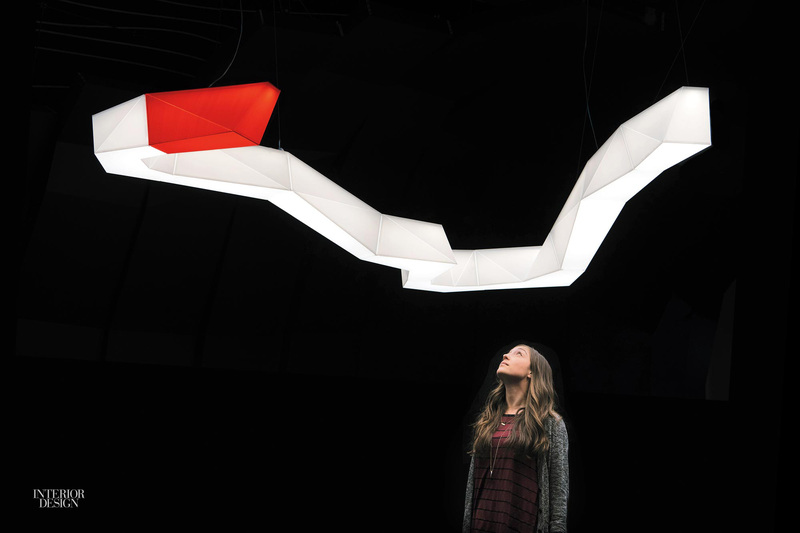 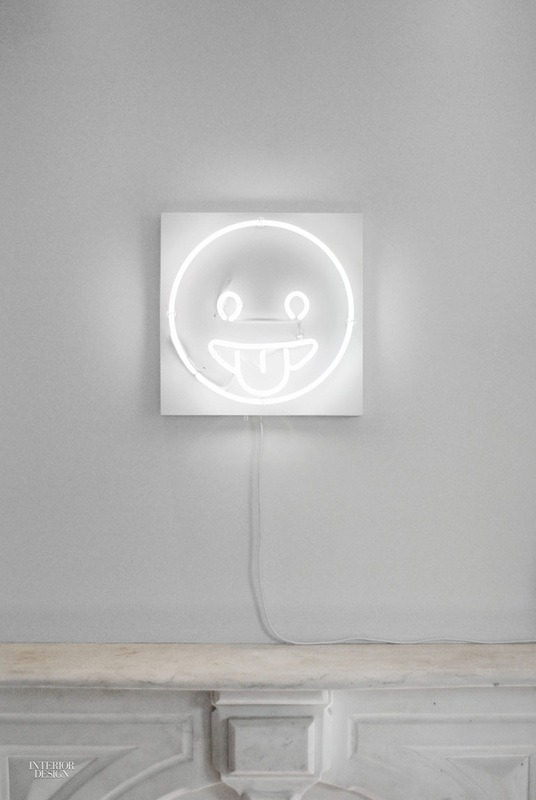 Memory I light sculptures in ceramic with glass tubing and polymer membrane by Ayala Serfaty through Maison Gerard. 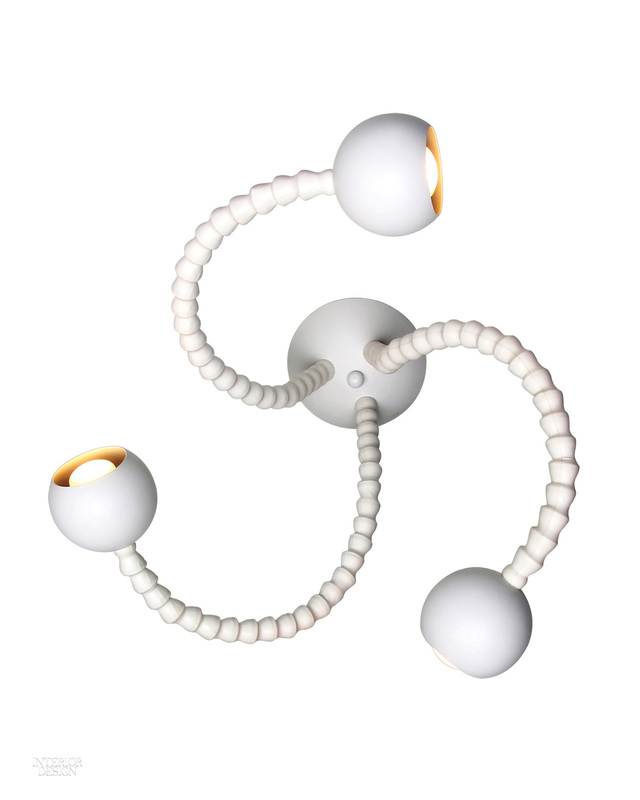 Squig LED light fixture in steel and polymer by Fire Farm. 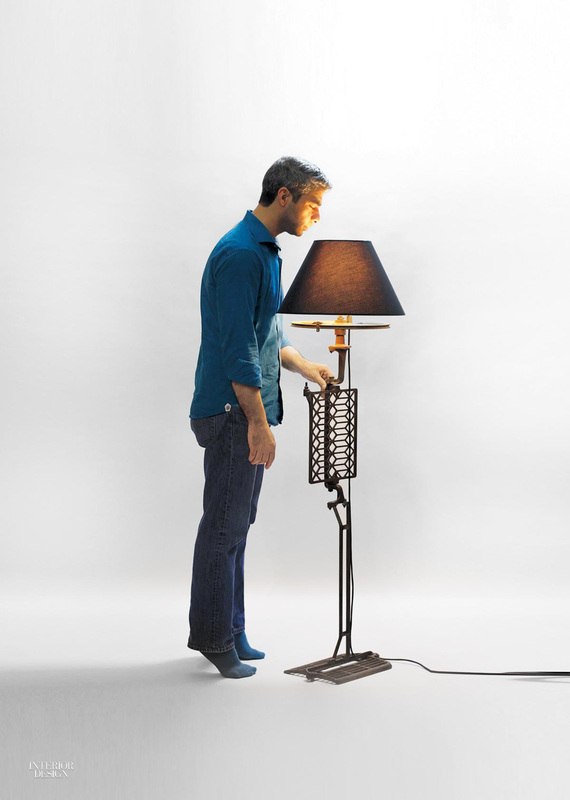 Greta floor lamp made from 1940s sewing machine parts by Barrak Naamani. 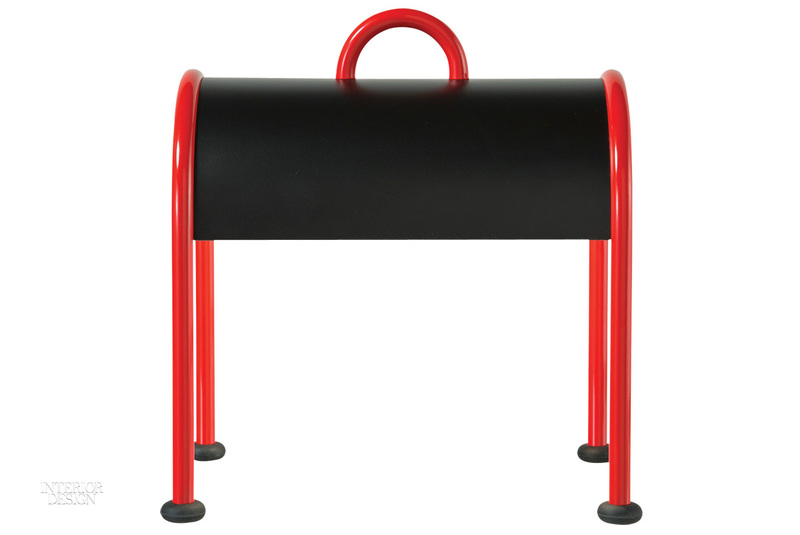 Ettore Sottsass’s Valigia table lamp in metal by Roche Bobois. 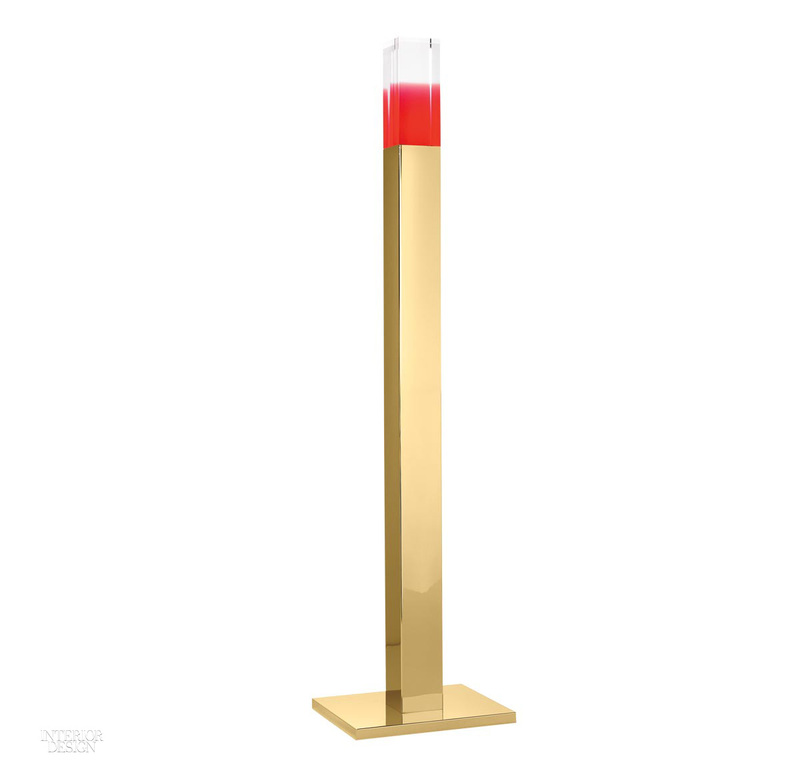 Andrea Branzi’s Giotto lamp in polished brass and Plexiglas by Ghidini 1961. 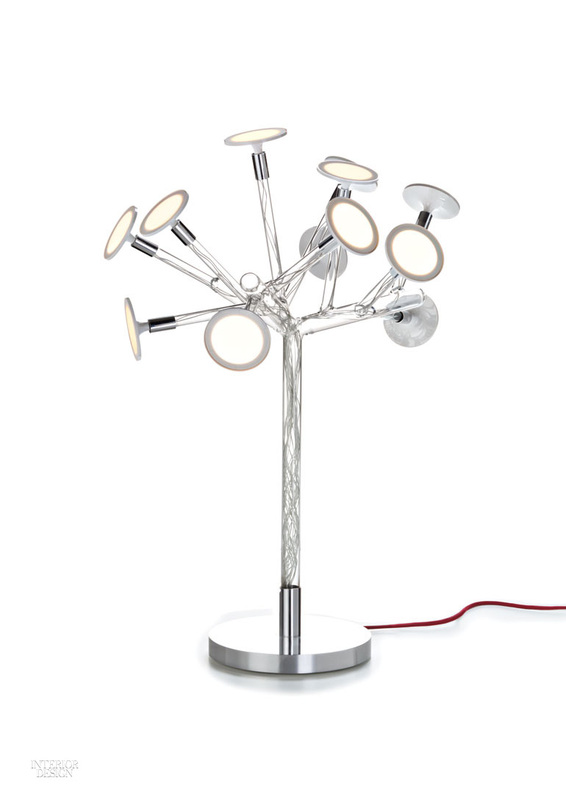 Bonsaï OLED table lamp with chromed base by Blackbody.